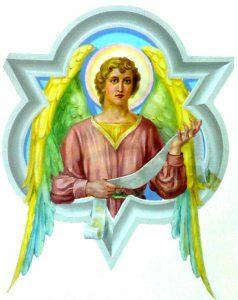 The month of April is dedicated to The Holy Spirit. The end of Lent, the Sacred Triddum, and the beginning of the Easter fall in April this year. During the first twenty days we are in Lent which is represented by the liturgical color purple — a symbol of penance, mortification and the sorrow of a contrite heart. Then we enter into the Easter in which the color changes to white, the color of light, a symbol of joy, purity, and innocence. Haec dies quam fecit Dominus: “This is the day which the Lord has made.” Throughout the octave we shall sing of the unequaled joy which throws open eternity to us. Every Sunday will furnish a reminder of it, and from Sunday to Sunday, from year to year, the Easters of this earth will lead us to that blessed day on which Christ has promised that He will come again with glory to take us with Him into the kingdom of His Father. The feast of St. Anselm, which is ordinarily celebrated today, is superseded by the Easter liturgy. Meditation – He is Risen! “I rose up and am still with Thee.” After His labors and His humiliations, Christ finds rest with His Father. “I am still with Thee.” This is perfect beatitude. Through His cross He entered into the possession of eternal glory. Christ has gained the crown of victory; through Christ men also win their crowns of victory. Humanity was under a curse and subject to the wrath of God. Now that they have risen with Christ, their guilt has been destroyed. “I rose up and am still with Thee.” The liturgy places these words in the mouth of the Church that she may pray them with Christ. “The earth trembled and was still when God arose in judgment.” The resurrection of Christ is the judgment and condemnation of those who have turned away from God. This judgment was prefigured by the angel who passed through the land of Egypt destroying the first-born of the Egyptians. The Israelites marked the doors of their houses with the blood of the paschal lamb. We are the new Israel, and “Christ our Pasch is sacrificed.” We mark ourselves with His blood, which we enjoy in the Holy Eucharist. We have been pardoned, we are saved, we shall live. “He is risen.” The resurrection of Christ is a pledge of our own resurrection. It is the foundation upon which our faith rests. It is the guarantee of our redemption and God’s assurance that our sins are forgiven and that we are called to eternal life. “This is the day which the Lord hath made; let us be glad and rejoice therein. Give praise to the Lord, for He is good, for His mercy endures forever. 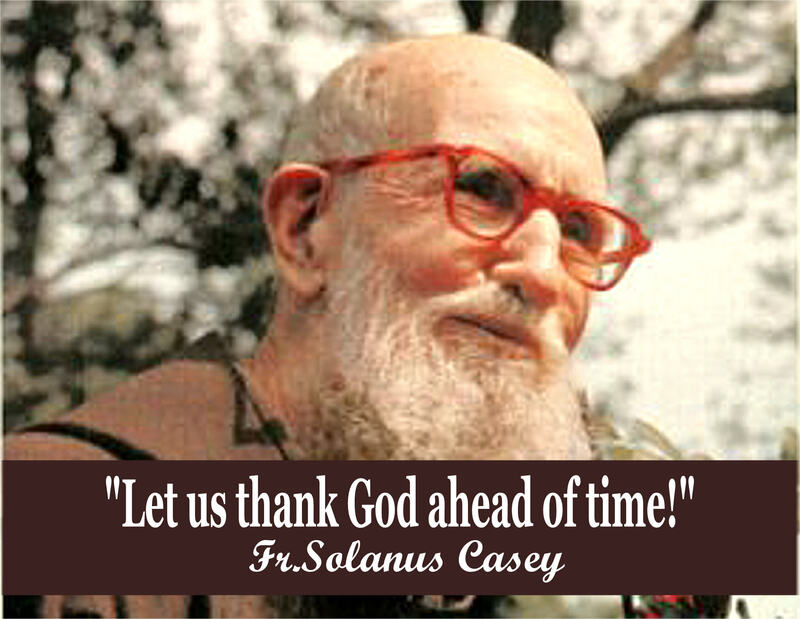 Alleluia.” “Christ our Pasch is sacrificed. . . . The Lamb redeems the sheep. Christ, the innocent One, hath reconciled sinners to the Father.” — Excerpted from The Light of the World by Benedict Baur, O.S.B. “You are looking for Jesus of Nazareth, Who was crucified. He has risen, He is not here. . .Go, tell His disciples. . .that He goes before you” (Gospel). Yes; we, too, searchers after Christ, now confess we have found Him. The task before us is to “tell” others of His victory, that all may be “of one mind and heart” (Postcommunion). Why? 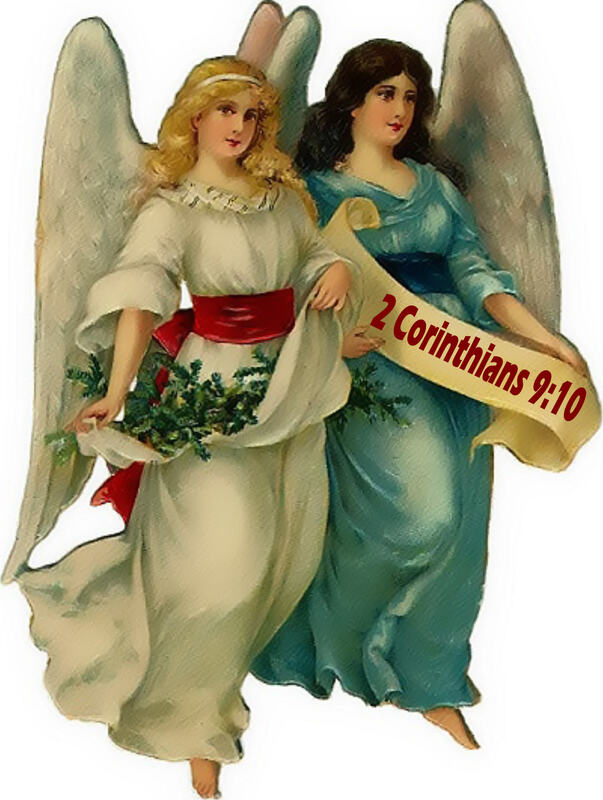 Because if Christmas is the loveliest Feast as we behold God born of Mary unto man’s life, certainly Easter is the greatest as we behold Jesus born of a tomb so that man may rise unto God’s Life. Our faith in His Divinity is confirmed because He “overcame death;” our hope is enlivened because He has “opened unto us the Gate of Eternity” (Prayer). Is it any wonder that the “earth trembled. . .when God arose” (Offertory)? How are we to prepare for our Easter Communion? A Resurrection Day effort to “purge out the old” life for the “new!” How could we be nourished by the “sincerity and truth” of Divine Bread if it were spoiled by the “leaven” of an insincere will, or an untrue mind (Epistle)? When we are sick, we run to the doctor’s. When there is a big sale at a store, we run to the shopping mall. When we see a little toddler fall down, we run to comfort him and pick him up. Today’s Gospel tells us that Peter and John ran as well. 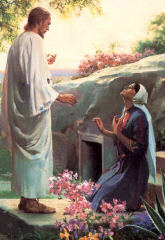 They ran to the tomb on Easter Sunday, once Mary Magdalene told them that Jesus’ body was missing. It seems that a lot of people ran to find Jesus. There was a Roman centurion, a demon-possessed man, and a woman with a blood disorder. There was a fellow with leprosy, a woman known as a sinner, and the tax collector Zacchaeus. The mother of a possessed child, a wealthy young man, and blind Bartimaeus also ran to him. And let’s not forget all the people who crowded around Jesus at every town he visited. Jesus once said, “Let the children come to me, and do not prevent them; for the kingdom of heaven belongs to such as these” (Matthew 19:14). He also said, “Come to me, all you who labor and are burdened, and I will give you rest” (11:28). And “I will not reject anyone who comes to me” (John 6:37). It’s an open invitation. There are no conditions, no strings attached. Jesus wants everyone to come to him, just as they are. Today, as you celebrate the most important event in human history, accept Jesus’ invitation. Run to him. Don’t hold back because you think you’re not worthy. Run to receive his overflowing mercy. Run to receive him as the Living Bread at Mass. When Peter and John ran to the tomb, their hearts were filled with hope. On this Easter Sunday, let’s also place our hope in the One who “is seated at the right hand of God” (Colossians 3:1). When we run to Jesus, we will find him. He has risen. He is alive. He wants to help us just as much as he helped all those people who ran to him. Our mission is to enable people to offer their money, goods, skills, time, or prayer, and through this involvement, provide the most effective help to those suffering the effects of extreme poverty in the world’s poorest communities. We welcome all into the Mary’s Meals family and we believe everyone has something important to contribute to the realization of our vision. For every $1 you give, 93 cents is spent directly on charitable activities. Thank you for your help and support! This sacramental from Heaven was at first called simply the Medal of the Immaculate Conception, but began to be known as the Miraculous Medal due to the unprecedented number of miracles, conversions, cures, and acts of protection attributed to Our Lady’s intercession for those who wore it. Sister Catherine became Saint Catherine in 1947. 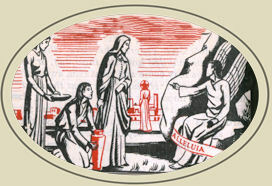 The church instituted recognition of the apparition in which the Miraculous Medal first appeared for November 27, 1830. 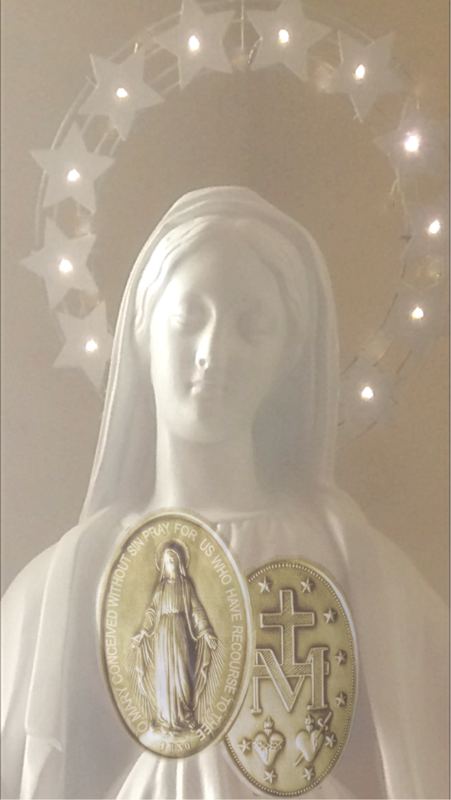 Millions of the Miraculous Medal have been distributed, and many graces and miracles have been received through this devotion to Our Lady. The scapular is an external sign of the filial relationship established between the Blessed Virgin Mary, Mother and Queen of Mount Carmel, and the faithful who entrust themselves totally to her protection, who have recourse to her maternal intercession, who are mindful of the primacy of the spiritual life and the need for prayer. The blessed Virgin of Mt. 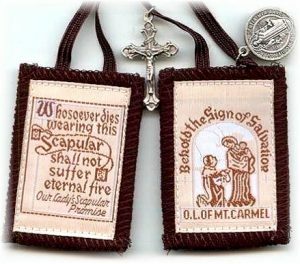 Carmel has promised to save those who wear the scapular fromthe fires of Hell; She will also shorten their stay in Purgatory if they should passfrom this world still owing some temporal debt of punishment. Pope Benedict XV, addressing seminarians in Rome:“Let all of you have a common language and a common armor: The language, the sentences of the Gospel – the common armor, the Brown Scapular of the Virgin of Carmel which you ought to wear and which enjoys the singular privilege and protection after death.”The Brown Scapular | A Sacramental“One of the most remarkable effects of sacramentals is the virtue to drive away evil spirits whose mysterious and baleful operations affect sometimes the physical activity of man. To combat this occult power the Church has recourse to exorcism, and sacramentals” (The Catholic Encyclopedia., 1913, VXIII, p. 293).The Brown Scapular | A True StoryYou will understand why the Devil works against those who promote the brown scapular when you hear the true story of Venerable Francis Yepes. One day his Scapular fell off. As he replaced it, the Devil howled, “Take off that habit which snatches so many souls from us! All those clothed in it die piously and escape us!” Then and there Francis made the Devil admit that there are three things which the demons are most afraid of: the Holy Name of Jesus; theHoly Name of Mary and the Holy Scapular of Carmel.“Modern Heretics make a mockery of wearing the Scapular. They decry it as so much trifling nonsense.” – St. Alphonsus LigouriMary, Mother of God and Our Mother“When Mary became the Mother of Jesus, true God and true Man, She also became our Mother. In His great mercy, Jesus wished to call us His brothers and sisters, and by this name He constituted us adopted children of Mary.” – St. John BoscoOver the years there have also been many miracles associated with wearing the brown scapular. WINOOSKI – In a state identified in a national study two years ago as one of the least religious in the country, a new Catholic radio station is being hailed by the market and people of faith. Our Lady of Perpetual Help Radio, which can be found at 105.5 FM, transmits 24-hour daily programming of the Eternal Word Television Network from the St. Francis Xavier Church property in Winooski. The station can be heard in the greater Burlington area and started broadcasting earlier this fall. Donna McSoley, the driving force behind WRXJ 105.5 FM, said she is eager to begin producing some local programming after she learns more about audio editing software. McSoley said one of her ambitions is to air homilies from priests who serve the Roman Catholic Diocese of Burlington. McSoley, a parishioner at St. Francis Xavier Church, began the quest to secure a broadcast license more than five years ago when the Federal Communications Commission opened a small window to own a channel on the FM spectrum for a low-power station. It took about 18 months to secure the FCC’s approval. McSoley accesses the station’s computers remotely from her Essex Junction home. The Most Rev. Christopher Coyne, bishop of Vermont’s Catholics, recorded some station identifications that play through the hour. Coyne’s remarks regarding the dearth of religious broadcasting in Vermont underscore what many perceive as an absence of God from the public dialogue. The FCC said it doesn’t keep track of content when license applications come in. The program director for a Christian radio network serving Vermont said religious-oriented radio outlets are filling a much-needed niche. Bob Pierce, of The Light Radio Network, said his Christian station reaches about 15,000 listeners in Chittenden County. In a competitive market, McSoley said she is anxious for WRXJ’s message to spread. “Although Vermont is one of the least religious states in the country, I have great faith that people will always be able to recognize truth when they hear it, so my hope is that many people will turn on the radio and start the journey toward discovering God,” she said.